Firetrucks are always a little boys favorite to play with. 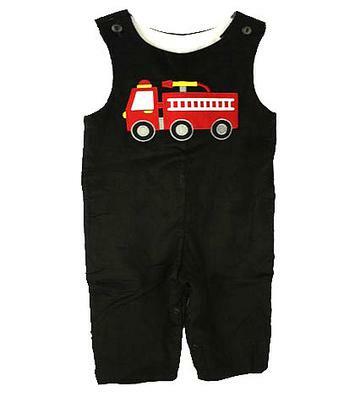 The black corduroy longall is 100% cotton and has a red applique firetruck on the front. 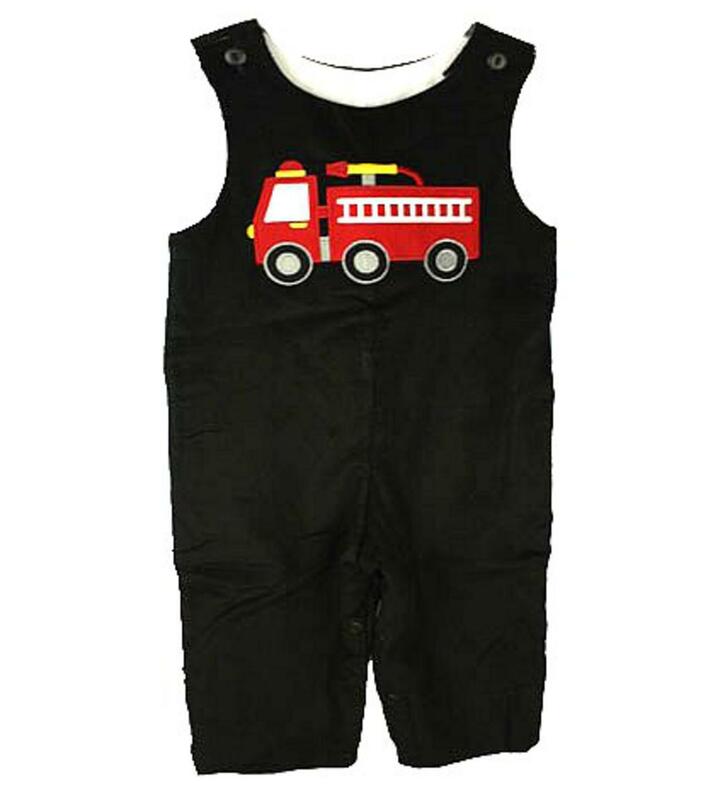 There is two buttons on the shoulders to get over a childs head and snaps along the inside of the legs to accomodate diaper changes easily. This longall can be paired with the Red & White Stripe Turtleneck to match perfectly together.